Jessi Highet studied textiles and clothing, along with everything else she could manage to study at Parsons. She has been teaching children’s art classes for over 10 years and started teaching art to adults five years ago. She works as a stylist, window display creator, and textile artist. When she's not working, she's usually out finding something to tinker with, tediously stitch together, or throw in a dye bath. 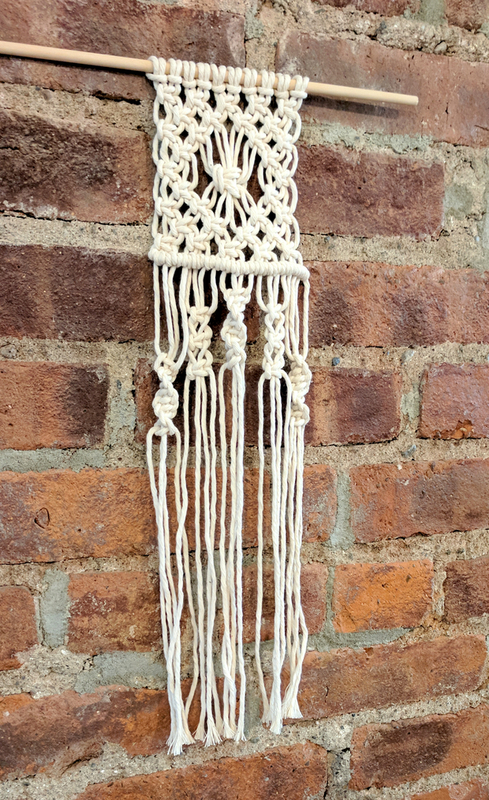 In this class, students will make a macrame wall hanging. We will go over four basic macrame knots: larks head, half knot, square knot, and half hitch. By the end of class, you will leave with a small decoration! We'll be working with natural-colored macrame cord in this class. 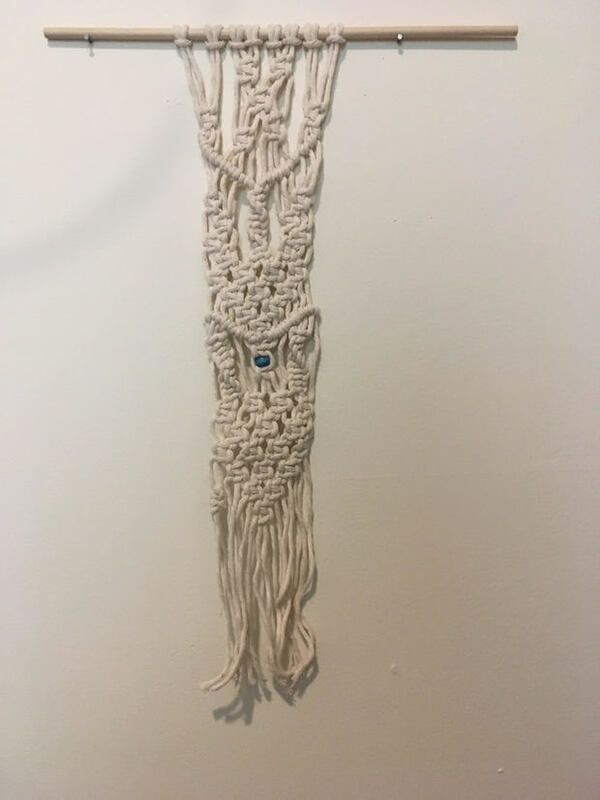 Macrame is something that everyone can enjoy and no experience is necessary! While your creation won't be exactly the same as the one in the photo, it will be adorable!